Guarana is one famous plant in the Brazilian rain forest. As an evergreen climbing vine indigenous to the Amazon Basin, it mainly grows in Brazil. The word ��guarana��which is very important in Tupi and Guaran�� Brazilian culture is from the Portuguese guaran��. The size of Guarana fruit is the same with hazelnut, with black color. Because of its potential effects on cognition, guarana is of great interest, which is chemically equivalent to caffeine. Compared with a placebo, the memory retention and physical endurance are increased in rats. 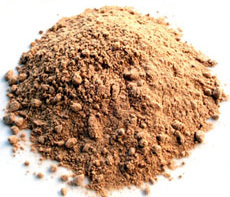 Thus, Guarana seed is traditionally used to cure headaches, fever, aphrodisiac, bacterial infections etc etc. by Brazilian. It works in terms of increasing concentration, keeping a clear head and driving out mental boredom. Guararana can also be used as a sexual stimulant. It strengthens the effect of the caffeine, extra energy after mixed with coffee. After shelling and washing the seeds, Guarana can be pounded into a fine powder to make tea. Through kneading the powder into a dough, cylinders can be shaped by then. As guarana bread or Brazilian cocoa, we can grate and immerse this product into hot water along with sugar. The sweetened or carbonated soft drinks and energy shots, an ingredient of herbal tea or contained in capsules can all need Guarana. In general, South America grow guarana for its caffeine but Western countries grow it for various energy and regard it as super fruit product. Suggested Use: 500-1000mg taken 1-2 times daily. Do not exceed 2000mg (2 grams) daily. We can take it because it is relatively safe. But if you are suffered from mental and physical disorders, please consult your doctors before taking it. Pregnant women and nursing mothers who are confronted with problem of the alkaloids on infants should avoid this product.